For any children wishing to attend a local area running club. Congratulations to all the skiers who took part in the Ski Races at Sunderland on 17th April. All achieved personal bests, and three of our skiers achieved 3rd place trophies in their age categories. Competed in the North Tyneside finals and won every game. They then qualified for the Tyne & Wear County Championships and represented North Tyneside with pride. What a fantastic performance at the North Tyneside Dance Festival. 20 children worked hard and took part on the night at Whitley Bay Playhouse. Outstanding! 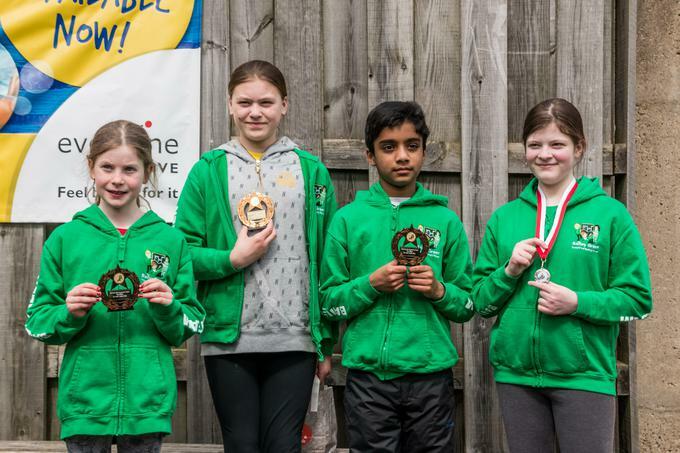 A squad of 6 children from Bailey Green were selected to represent North Tyneside in the Tyne & Wear Athletic Championships. North Tyneside Girls team and Boys team came in 1st place. Luke Hunter was selected to represent North Tyneside in the Tyne & Wear County Athletics Championships and came in 1st place. We are all incredibly proud of him. Year 6 children won the Tyne & Wear Athletics Championship. Well Done! Congratulations Bailey Green High 5 Netball Team. Winners of the North Tyneside Tournament. Outstanding work from our P.E. Leaders throughout the year! Gold School Games P.E. Mark. A fantastic achievement! A huge thank you to all of our P.E.Leaders in Year 4, Year 5 and Year 6 listed below, who have helped, supported and participated in many sporting events this academic year. We are very grateful to everyone of you!! Skipping Festival Team. 1st place in the skip-dance. Outstanding! See our inclusive Sports Award Evening video celebrating our children's sporting achievements. Go to children - podcast and take a look! A great success in the North Tyneside Rounders Tournament coming in a well deserved 2nd place. Good luck to all of our cricketers heading to Backworth Cricket Club. Thank you Mrs Morgan for supporting their development into a community club. Sainsbury's School Games. A fabulous day enjoyed by all. Wonderful children and wonderful support from parents. School Games Crew working hard with Year 2 children on warm ups and team games. KS2 worked well supporting KS1. Thank you School Games Crew. After School Athletics Club being taken through a rigorous work-out by our School Games Crew. Children from 4J enjoying their 'Move It' workshops at The Parks. Fantastic effort and enthusiam from all children and great encouragment from Charlie and Euan, our PE Leaders. Year 4's 'B', 'C' and 'D' Teams also competed very well.